It’s Sunday right? I’m all kinds of turned around and upside down with the whirlwind of this week! Quick re-cap of the race: not my favorite. In hindsight I can find a lot of really great moments. But around mile .25 I was pretty much over it all. Yep. That quickly. 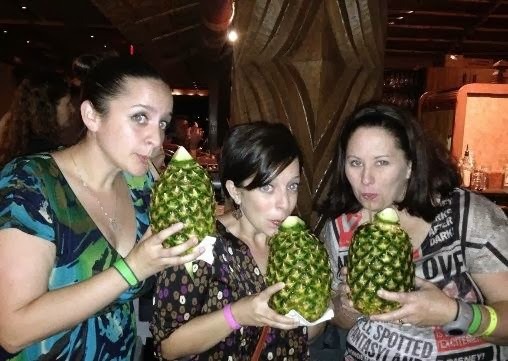 I perked up when I ran into some friends around Animal Kingdom. Seriously runner friends are the best! But after that moment I was pretty unhappy until we hit Disney’s Hollywood Studios. I knew the lights were coming, and they would be awesome. And they were. Will I be back? Possibly. Who are we kidding- probably. But it’s not on my must do list every year. That honor is still held by Tinker Bell and Dumbo Dare Challenge. I guess I’m a Disneyland girl at heart! I’m heading out the parks for some celebratory drinks and rides with my Mr. Incredible. If you see us, please say hi and let me know how your race went! Did you follow the race online last night? Did you run? How was your race experience? Congrats on your Wine and Dine finish! I loved all your costumes…so creative! I was following the race via Twitter! There was so much excitement…I loved it! I ran Wine and Dine last year. I’ll definitely be back next year for the anniversary bling! Thanks Ashley! The Broads are a lot of fun! Congrats! Love the medal :0) Also, the fact that you can do a booze night 24 hours before running 13.1 miles pretty much means you are a bad***. You go girl! Um, I’m not so sure you can call what I did running! There was a lot of walking from mile 7 on. But it was a great finish through DHS! I had my eyes peeled for you all weekend- I’m so sorry I didn’t get to see you! 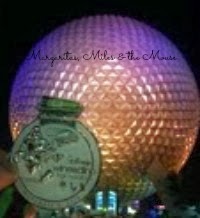 You were on my mind a lot, because I always think of you as one of my runDisney inspirations! I had a FANTASTIC first race, and (no surprise) I’m HOOKED. I wish I had registered for one of the 10Ks in January or February!! The rubber medal is nice, but I want something heftier and shinier next time! And I had a lapu lapu as well…but I waited until AFTER my race! 🙂 Congrats on your finish! I’m sorry we didn’t meet up! But I’m so glad you LOVED your race- and yep- it’s addicting! 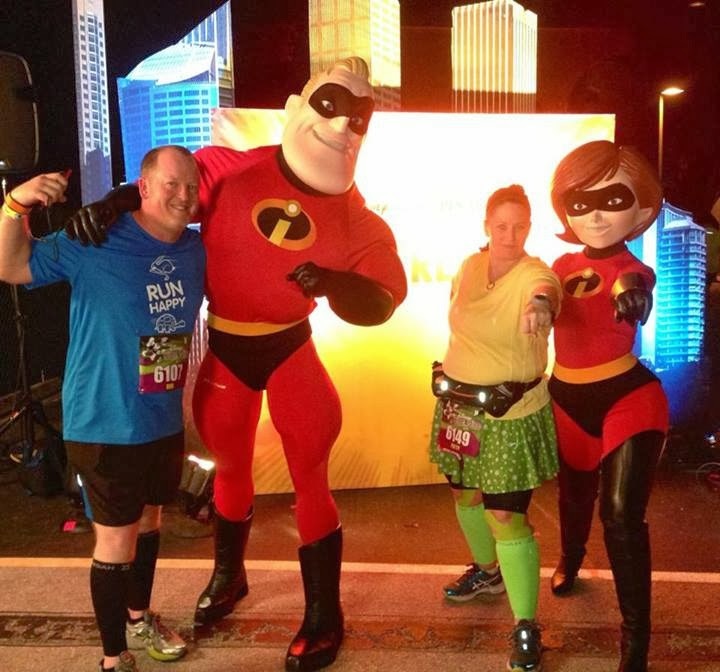 Welcome to the cult of runDisney! Good people here, good times to be had! 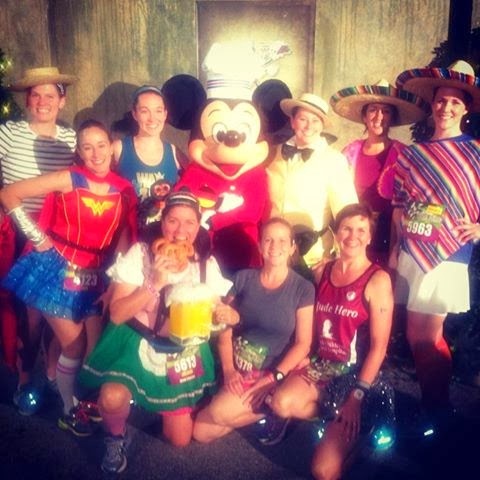 Check out the travel operators- sometimes a 10K bib will pop up closer to the race. Can I secretly (or not so secretly since I’m writing it here) be happy that you had the same sentiment as I did about this race? All I have heard is how it’s everyone’s favorite, but running at night was not my thing. I didn’t make it to the after party because my stomach wasn’t a fan of this race either. I’ll be back for sure, but will definitely not “race” this race; this would be a ‘just for fun run’ in my book! Costumes were awesome! Hope to meet you in person at a future race! I’m glad I’m not alone! I’ve had more time to process and it was me- not runDisney for most of it. But yes- I will do it again but do a lot differently! I hate to break it to you but the Osborne lights are rumored to be going away. The other Christmas decorations are there of course but those lights are amazing!!!! I really hope they stay! As always, I loved your recap! Club Tinsel, baby! I loved the race, truly, but I don’t think I’d do it again without The Osborne Lights. I had so much fun with you and the Broads! The lights were amazing- yes. I will be very sad if they go away.